Announcer: On this episode of Skeptiko, we’ll look at Chris Carter’s examination of the skeptical community. Chris: You have to remember that the argument is not really about the evidence. The argument is about their assumptions and their preconceptions. Their preconceptions are, with these sort of phenomena, that they don’t make any sense and challenge their world view. So, they’re going to do anything they possibly can to dismiss evidence that challenges their preconceptions. Alex: I don’t agree with you, and one of the good things about really getting in and really creating a dialogue with these guys is – what I see is – they really believe that they have examined the evidence, and they believe that they’ve honestly come to a different conclusion. Announcer: Stay with us for Skeptiko. Alex: Welcome to skeptiko, where we explore controversial science with leading researchers, thinkers, and their critics. I’m your host, Alex Tsakiris, and on this episode, we have part 2 of our interview with Chris Carter, author of Parapsychology and the Skeptics. As the lead-in reveals, the discussion gets into a bit of a family squabble, a little bit of a disagreement between Chris and I on a couple of points, but I think those points are important because they boil down to how we view the skeptical community. It comes down to what I term as dialogue versus dismissal. The question is whether skeptics are worth dialoguing with or whether you think that their rigid views have become nothing more than an ideology, and further conversation, further evidence, further experiments, are just a waste of time. Well, I certainly understand how tempting it is to go there, but I really don’t think it’s the case. I really don’t think we should give up on the skeptical community, and I think it’s important to occasionally step back and consider things from a skeptical point of view, from a skeptical world view. I mean, fully consider all the nonsense that gets peddled as science in our society and the absolute lunacy of fundamentalist religion. If you remember back on the political debates we’ve been having in the United States, it’s virtually impossible for any candidate to not declare their church-going bonafides in public. You cannot get elected if you don’t do that, and that, I think, has to factor into this whole equation we’re looking at. Don’t get me wrong. I still the skeptical community has steered far off course, particularly when they ventured into the science of human consciousness, including the parapsychology stuff we’ve talked about, and they need to be called to task for this. 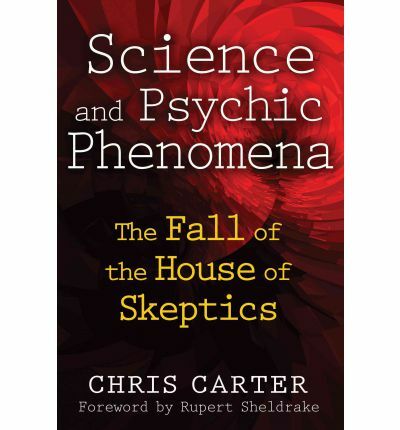 Chris Carter does an excellent job of it in his book, Parapsychology and the Skeptics, but let’s not give up on the dialogue, the discussion, the give and take between intelligent people who just disagree. As a proponent or a believer or whatever you want to call it, let’s not be too disappointed or upset when people don’t change their minds because of what we’ve discovered. I guess that last point is particularly relevant to me, as I’ve just released the second video from the Dogs That Know experiment. If you haven’t seen it, you can check it out at the skeptiko website. Now, I think this video is a very convincing example of a dog waiting for his owner to come home. I mean, the dog waits in the exact spot that owner predicted. He never goes there when the owner is out. He goes there almost the whole time when the owner’s on the way home. Of course, to a lot of skeptics, this isn’t proof, or it isn’t enough proof. Of course, they’re right – it isn’t enough proof. There’s still a lot of work to be done. There are more dogs to be tested. The bigger question is will there ever be enough proof. Will there ever be enough trials and enough controls to convince a significant part of the skeptical community? I think the answer is “yes,” but then I’m a bit of an optimist. Stay with us – much more Skeptiko to follow, in just a minute. What is the best way to bring out that paradigm shift, that paradigm change that allows science to embrace these ideas and incorporate them into what we already know? If it’s not more research, what is it? Chris: That’s why I wrote my books. I think the best way is to show people that the opposition to these psychic phenomena and evidence of survival comes, sadly, from our intellectual history of a clash between religion and science. It gave religion, frankly, a bad name in the eyes of many people, and religion retreated. Science basically left it alone.Religion also left science alone. I think it’s time we got over this bi-polar way of thinking: the choice has to be between fundamentalist, literalist religion and fundamentalist, mechanistic science. The fact of the matter is that modern science is no longer mechanistic. It’s moved beyond mechanism and materialism. As I said before, many quantum mechanics have said absolutely nothing in modern quantum mechanics would compromised by the existence of psychic phenomena. I go to great lengths to describe that and discuss it in my book. That’s what I think the answer is. I think the answer is basically education. Alex: Chris, are there any other topics that you thought we might want to cover today that we haven’t had a chance to talk about? Chris: Well, do you think we covered one of my central points – that these so-called skeptics are basically defending an outmoded philosophy of science that’s turned into an ideology for them? Because, it really is an ideological struggle for them. Alex: Define for us how you see that ideological struggle shaping up. Chris: I guess I’d first like to contrast ideology with scientific theory and philosophy in order to define my terms. Scientific theories are theories that are capable of being tested, or in other words, they’re capable of being proven false. Philosophical theories are theories that are not currently capable of being tested. That is, they are much more speculative than scientific theories. The boundary between the two is not absolute because testability is usually a matter of degree. The ideology of the so-called skeptics is secular humanism or materialism, and it has an anti-religious, anti-superstitious agenda. The skeptics correctly recognize that their ideology is threatened by the claims of parapsychology. You also have to remember that it’s an ideology that’s peculiar to the west, because it’s been almost entirely in the western world that we find these tendencies to deny, distort and suppress the evidence for psychic phenomena. Alex: Yes, but the problem with all that that you’ve just said – not that I disagree with any of it – is that skeptics could quite rightly turn all those points around and say that whatever field you have is more ideology than science. This whole issue of testability being the ultimate measure of what’s science is, as you point out, somewhat subjective in terms of what kind of tests we can do and how good those tests are. The other point that you make about it’s a western phenomena…versus what? Fortunately, the west is where all the science is being done. We can look to the east, and they many interesting, interesting insights into the world, but those haven’t worked their way into science very well. Chris: First of all, your point that testability is subjective criteria – I disagree with that.That’s Pearl Popher’s criterion, and it’s objective. It’s not subjective just because testability is a matter of degree. Something can be a matter of degree and yet not be subjective.Temperature is a matter of degree, for instance. Alex: I hear what you’re saying, but my wife is a psychologist. So, you go in – and as we were just bashing the psychologists, which I’m fond of doing – but you move into the soft sciences, into the social sciences, and testability? It’s a joke. Take any psychological study that you want, especially if it’s done in a natural setting with real subjects, it’s very, very subjective in terms of what you’re really testing and how accurately you’re really testing it.That’s, I think, part of this whole controversy, as you point. Psychology, by definition, is very, very difficult to pin down. It’s hard to do a good psychological study. Chris: It’s on shaky scientific grounds. Let’s put it that way, because so many things in psychology are difficult to test. They’re difficult to test with an precision. Chris: But again, I do think that this is peculiar to the west, because it’s been mostly in the west we’ve had this historical clash between religion and science. That’s why this debate has been fought with the passion of a holy war. There are scientists out there – increasingly larger numbers – from Asian countries, Islamic countries, Hindu backgrounds, and these people find the vehement opposition to investigation psychic phenomena to be amazing.They don’t understand it. It doesn’t make any sense within their culture. These tools that we have of science, these tools of discovery, of understanding, are the best tools that we’ve been able to evolve. No one has said that these tools don’t work. It’s just the way that we’ve applied the tools. So, I don’t even like putting it in terms of a debate, or a clash, between science and religion. That clash is over. Science won, and thank god that they did. I just think that we can’t stop science from pushing forward into these deeper questions and following the data wherever it goes, regardless of the spiritual implications. Chris: I agree with you, but I still think there’s an ongoing cultural war, certainly in the United States, between fundamentalist religious people and fundamentalist atheist people, and, even more, secular people – battles, for instance, about whether or not evolution can be taught in some of the schools or if they can use the word “evolution” for a bit of gradual change. I’m not knocking the United States. I lived there for several years. I love the country, but the fact of the matter is there are these ongoing cultural battles in the United States. It’s why you have fanatics on one side and fanatics on the other, like Richard Dawkins or Daniel Dennett. Yes, these people are extreme, but they’re facing extremists on the other side. Alex: I don’t really see it that way, and I think that that’s easy for the Daniel Dennetts and the Richard Dawkins. The fundamentalist radical religious nuts on the one side provide fodder for those guys and further create this situation where clarity of thought can’t be found. You know, the most recent statistics, surveys, that just came out, I think, were from PEW, and this was just in the last couple of weeks. It gained quite a lot of publicity here in the US, and it was on the spirituality of Americans. The big headline from that research was that a growing number of Americans that identify themselves as spiritual but not religiously aligned, and they’re kind of rolling their own religion, if you will. This is bemoaned by many of the religious folks, but I think it really hits to where people are at. The secular humanists, I think, haven’t really caught up to that. They’re still talking to the televangelists on TV, and that’s not really where the action is, and that’s not really where the action is in our debate. Those folks are not going to be the ones who are going to be the forward thinkers who are going to lead us out of this quandary that we’re stuck in. It’s the majority of people who really are open-minded and really are open to finding the best data that they can use to form opinions that really inform their life and align with their life experience and provide a way for them to figure things out. Chris: Most of the early psychic researchers, the men who founded the American and British societies for psychic research in the 1880s were men who were living in Victorian times, the times of the rise of Newtonian science and the introduction of Charles Darwin’s theories, and so on. These were men who were brought up to be religious Christians, as most people were in those days and those countries, and they basically lost their faith, but they were appalled by the materialism of the then prevailing scientific view. They started searching for a scientifically impeccable method of finding an alternative to this bleak outlook, searching for an answer to the bleak outlook without sacrificing an impeccably scientific method. That’s why they investigated things like apparitions and haunted houses and, also, extrasensory perception and so on. But today, I really do believe that these skeptical organizations, like Psicops, which grew out of the American Humanist Association – these people are primarily largely motivated by their anti-religious views. They associate parapsychology as somehow being part of something which may lead to greater superstition or religion, and so they’ve gone to the most extraordinary lengths to deny, distort, and suppress the evidence. There was even a National Research Council report in 1987 which announced to the press:“The Committee finds no scientific justification for research conducted over a period of 130 years for the existence of parapsychological phenomena.” It was a total hatchet job. They were looking a data gathered by the US Army, and there was a Colonel John Alexander who’s retired now. He wrote a very blunt article criticizing this NRC report. This NRC report – I should add here – was lead by three psychologists: Dr. George Lawrence, a civilian Army psychologist with a history of opposition to “psi” research; Ray Hyman, council member of Psicops; and psychologist James Alcock, also a member of Psicops, widely known for his books and articles attacking parapsychology. In other words, the NRC appointed three psychologists with widely known views against the legitimacy of parapsychology, and they announced a conclusion that they didn’t find anything. The following year, Colonel John Alexander wrote a very blunt article, criticizing the NRC report. He basically concluded, “We should worry about the fact that the highest scientific court in the land operated in such a biased and heavy-handed manner, and that there seems to be no channel for the appeal or review of their work. What, you may ask, are they afraid of? Is protecting scientific orthodoxy so vital that they must deny evidence and suppress contrary opinions?” That’s how these people have operated for decades and how, to a large extent, they’re still operating. The topic, itself, is very complicated and it took me a whole book to get my argument across.I sometimes wonder how good I am at summing up some of the main points and getting them across, because I really do think that these so-called skeptics are driven by an ideology.It’s something for them that just has to be true, regardless of the evidence, and they’re going to do everything they can to deny and suppress any evidence to the contrary. Chris: My only reservation is that sometimes, when I hear these ten second quotes, they’re out of context, or it’s easy to take them out of context. You know, you hear that guy calling Raden and so on bad scientists. He says, “I looked at the meta-analysis and it doesn’t convince me.” You know, I don’t know what was said before that. I don’t know if he actually did look at the meta-analysis. I don’t know if he actually did discuss the meta-analysis in any detail. Alex: He did…and you know what’s even worse? Really, you’re point’s well-taken, but it’s really to the other – so, he said that Raden was a terrible scientist. He said “bad scientist” there. At another point, he says “terrible scientist.” When I had an interview with him, I brought that up a couple times, and he totally wanted to distance himself from that. I think that’s the other thing that these skeptics do: they don’t hold themselves accountable. When you make a mistake – I make mistakes – you come out and you say, “Hey, I made a mistake.I was wrong.” I’ve never heard these guys say that. They never back down. Chris: Right, but if you say something like that, he should either apologize or provide detailed evidence as to why Sheldrake is a terrible scientist. Chris: He shouldn’t just say it, because then it’s just name-calling. Do they ever go back and say, “Well, I think you’re right on that?” No! They just slither over to the next issue and say, “Ah! There’s a pattern. There’s a pattern of increased anticipation.” Then you point out, “No, that pattern doesn’t exist, and here’s why it doesn’t exist.” Then they just get off of that, but they never retract and say, “You know, you’re right.That was a mistake on my part.” They just move on to the next point, and then, when you’ve beaten them on every point, it’s just silence and move on to the next issue. Chris: Alex, you have to remember that the argument is not really about the evidence. The argument is about their assumptions and their preconceptions. That’s what the argument in this field is all about. Their preconceptions are that these sort of phenomena don’t make any sense and challenge their world-view. So, they’re going to do anything they possibly can to dismiss evidence that challenges their preconceptions, because it’s much easier to do that than to change their opinions. You know, I really have to tell you, Chris, I don’t agree with you. What I see is that one of the good things about really getting in and really creating a dialogue is that they really believe they have examined the evidence, and they believe that they’ve honestly come to a different conclusion. You know when I think it really reveals itself? It’s when you talk to somebody. This quote – I didn’t play it – but one thing Novella says that I think I have some empathy for is, “Hey, you know what? We deal with so many claims. We deal with UFOs and Bigfoot and homeopathy. We deal with all these things, so we’re dealing with so many different claims. Forgive me if we don’t dig into all of them.” They all say the same thing. All these proponents are saying the same thing that you’re saying. Chris: Well Alex, I don’t think that people like Richard Wiseman or Alvaretto are truly open-minded. It’s one thing to say – like Michael Shermer was saying – I would love to see special abilities; I would want to believe in these sort of things. The fact of the matter is these people are not open-minded, and they show by their own actions that they’re not willing to play the game honestly. They’re also willing to make any excuse to get out of having to admit they’re wrong. Alex: I hear you, Chris, but I think one of the biggest mistakes that proponents, if you will, believers – you know all these terms that don’t really work – make is assuming that these skeptical organizations and these leading skeptical critics are different than you and I. As I’ve spoken with these people, I’ve found that that’s not the case. They don’t get together in some dark room and say, “Okay, they beat us on this point. How do we attack them back on this? And how do we do this?” I think it’s all a very subtle thing. In exploring that and understanding where they’re really coming from, the one thing I do see is there is a lot of misinformation about science out there, and I think they feel very motivated to expose that.I think what they lack is the ability to discriminate, and once they get going, it’s like if you have a hammer, all the world looks like a nail kind of thing. I think that explains a lot of it. After going through it and seeing how hard it is to do, I can understand why he stopped, but on the other hand, if you’re really breaking new scientific ground, man, do it over and over and over again until there’s no question that you’ve proven it. And that’s a valid criticism. Chris: Actually, I don’t believe it is a valid criticism, because if he’d done a hundred, then they say, “Well, why not do two hundred? Why not do five hundred? Why not do a thousand?” The fact of the matter is that the cases for the evidence of psychic phenomena have been overwhelming since at least the 1950s. No matter how much evidence people produce, no matter what kind of evidence people produce, the skeptics will still keep coming back and saying, “No, it could have been this. It could have been that. These people are bad scientists. They’re incompetent. Maybe they cheated.” That’s what they’ve been saying for decades. Chris: The argument now is not about the evidence. It’s about the underlying preconceptions of the people on one side and the other. Alex: The reason I don’t like, Chris, the reason I don’t buy into that is the one good thing about doing this show is in talking to these people. I’ve spoken to you, now, and I feel like I know where you’re coming from, and in talking to these folks, I just don’t get the sense that they’re trying to perpetrate some kind of fraud like that. I don’t think they’re trying to do that, and I don’t think they’re so deeply deluded that they’re fooling themselves in that way.I think they just really don’t believe that the evidence is there. Chris: It’s not a question of delusion. It’s not a question of fraud or being conscious of “let’s just try to keep the truth under wraps.” It’s not that at all. It’s that they’ve got these beliefs that they’ve been holding for decades, which are essential to their personalities, and they are terrified of those beliefs being challenged and becoming unraveled. Alex: They’ll tell you that that’s just not the case. They will directly say that, and these are rational people like you and I, and I don’t believe that they’re any different than you and I. I don’t think they have some deep, deep fear that is buried deep in their subconscious that they can’t quite get in touch with. No, I just don’t think they’ve seen enough evidence. So yes, it’s about them thinking that it’s basically impossible. They want to change their minds. It’s an ideological struggle, but there’s more to it than that. Have you heard of a book called Extraordinary Knowing? Chris: I wrote a review for it in the last issue of the Journal of Parapsychology. I’ve got the review in front of me right now. Extraordinary Knowing is written by a psychologist named Elizabeth Mayer who one day, her daughter lost a harp. A friend suggested she call a dowser, so the dowser, over the phone, actually located the house in which the stolen harp could be found, and this just blew Elizabeth Mayer’s mind. She couldn’t believe it, and she couldn’t figure out how it could be possible. Psychologist, remember? So, she went on basically trying to reconcile these experiences, and it led her into constant confusion. She thought that this was contrary to all of science and didn’t make sense, and at one point she writes that she began reading literature, and turns to the Skeptical Inquirer. There’s another quote in my book from Henry Bower. He was the editor of the National Enquirer, and he wrote to another fellow, “The purpose of the Journal is not to examine anomalous claims, but to argue against them.” See, this is propaganda. So yeah, and that’s why most of these critics are psychologists: they’re not quantum physicists, and because they’re under the delusion that these things are all unscientific, they make no sense, and therefore they must be false. They’re also afraid to change their opinions. That’s really what it’s about. I really don’t think any more evidence, because there are mountains of evidence out there, is going to change anyone’s mind, except maybe some of the open-minded, uncommitted people. Alex: Yeah, I’m not convinced of that, and I think that there are just too many cases in science and in our society in general where change is slow and it takes time, but it really takes a mountain of evidence. You know, we’ve used the word “paradigm.” The original Koontz writing on paradigm is so instructive in how this works and that the evidence piles up little by little by little until it just reaches this tipping point where it just switches over to the other side. Also, in speaking with Dean Raden, I think he had a really interesting insight on this, and he think he’s right on target. He said, “You know, when it changes, it will change overnight, and everyone who was on the other side will come back and say, ‘I kind of always believed this was true,’” and they’ll just do a little switch and the whole situation will be different. So, I do think it’s about evidence, and I think it’s about compiling more and more evidence and making that evidence accessible and getting it to the right people to reach that tipping point where you have the paradigm shift. It’s going to happen, and it’s already happening in some ways, but it hasn’t happened to it’s full extent. I think it will. Chris: I agree with you. Getting the evidence to the right people is the important point.Getting more evidence to these so-called skeptics is not going to change their minds. They’re never going to change their minds. They’re never going to change their minds. Alex: Yes, that’s a great quote. I’ve heard that many times. Well Chris, thanks a lot for joining us, and I’m definitely going to have two shows out of this, because this discussion we had at the end, I think, is very, very relevant to the whole thing we were talking about as well. Chris: Yeah, this was good. Thanks for having me on. Alex: Thanks again to Chris Carter for joining us today on skeptiko. If you haven’t checked out his book already, please visit Amazon.com and give it a look. It’s just packed with very solid well-researched information. The book title is Parapsychology and the Skeptics. There’s a forward by Rupert Sheldrake and very, very positive reviews on the back cover. It’s a great read. You’ll really enjoy it. For more information about skeptiko, to check out our past episodes, drop us an email, or post us a comment on our forums, check out our website at Skeptiko.com. Stay with us for future episodes. Coming up we have some great interviews lined up. Thanks for joining us today, and bye for now.